The exact location of the shelter is being kept a secret to protect victims. It has 30 beds, bringing the total to 90 beds between Fairfax County's three shelters. Virginia’s Fairfax County opened its third domestic violence shelter, specifically to serve the southern part of the county. The new shelter, called Artemis House Region 1, opened in February and has almost 30 beds. Its exact location is being kept confidential to protect victims, as are the addresses of the county’s two other shelters that serve its northern and central areas. 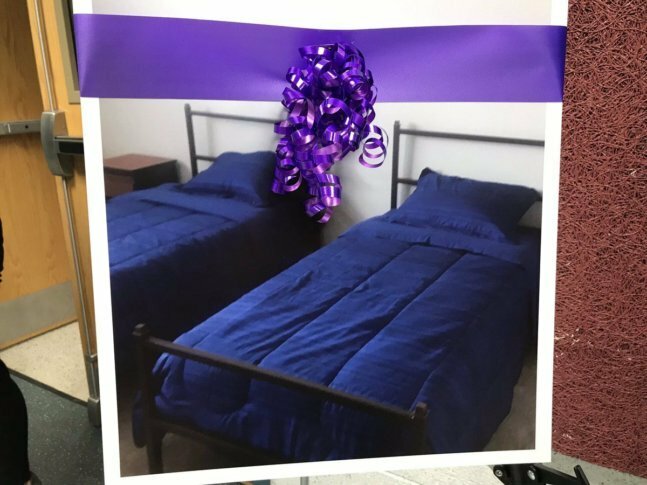 “We now have 90 beds that can be used as emergency shelters for victims of domestic violence as well as sexual violence, stalking and human trafficking,” said Fairfax County Executive Bryan Hill at a ceremonial ribbon cutting Monday. The county held the ceremony off-site at the Mount Vernon Governmental Center in Alexandria. One in four women is a victim of domestic violence. One in seven men also is a victim of domestic violence, Hill said. “We want people to be empowered to take control of their lives and to make their lives what they want it to be and not what somebody else may think it should be,” said County Supervisor Dan Storck, who represents the Mount Vernon District. The new shelter is located in an existing facility on property acquired by the Fairfax County Redevelopment and Housing Authority about seven years ago. The county then spent almost $500,000 renovating the building and turning it into a shelter. Fairfax County’s emergency shelters provide victims a temporary place to stay as they figure out their next steps. If you or someone you know is being abused in Fairfax County, you are urged to call county’s 24-hour domestic and sexual violence hotline at 703-360-7273. The county provides more information, including ways you can help, on its Domestic and Sexual Violence Services web page.